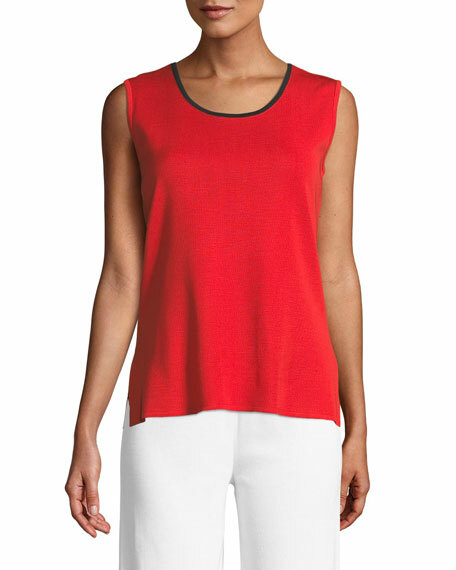 Misook tank in wrinkle-resistant knit. 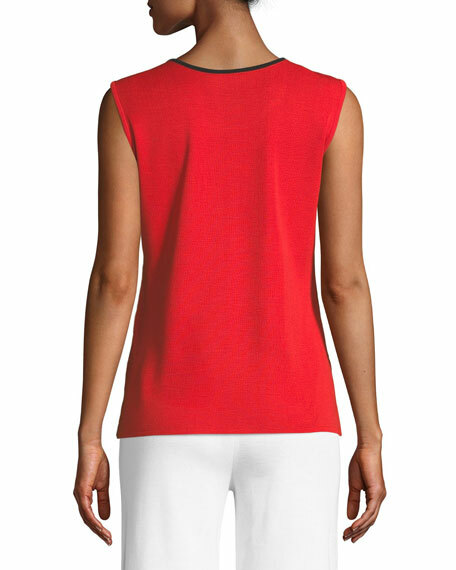 Scoop neckline with black trim. 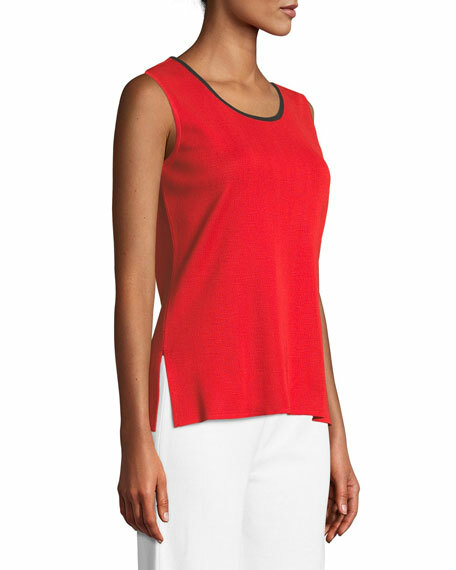 For in-store inquiries, use sku #2561411.